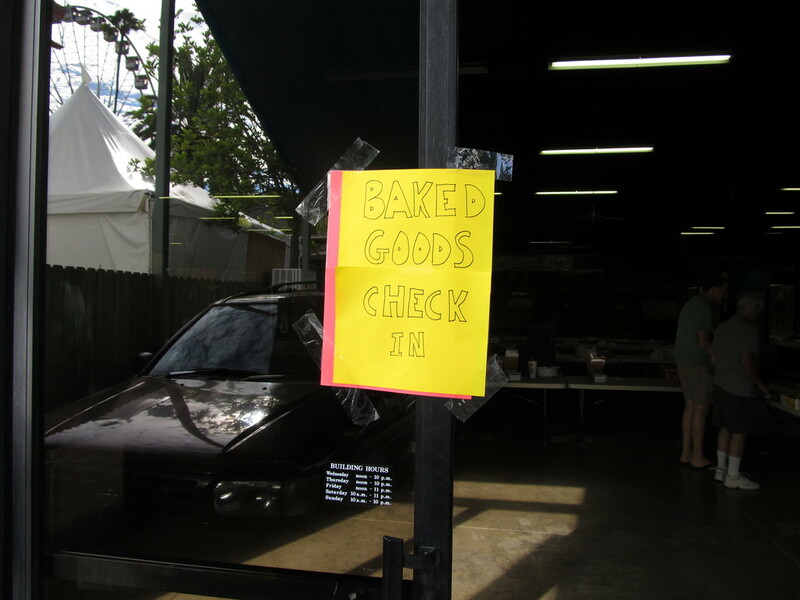 Today was the day that I had to submit my cookies and recipes to the L.A. County Fair for the baking contest. I came home a bit early and started baking. Sadly, the heat wave we always seem to get in time for the county fair came right on schedule, and it was not much fun standing around in the kitchen with the hot oven. I made two batches of cookies, one of each of the two recipes I’m entering this year. When they came out, I taste-tested one of each for quality control purposes. Truth be told now, I’m pretty sick of these cookies, since I’ve made so many test batches over the past few months. So I kind of had to choke them down. But they came out all right, and I picked out the six best-looking ones from each batch to enter in the contest. I put them in a little box, and headed out to the fair. 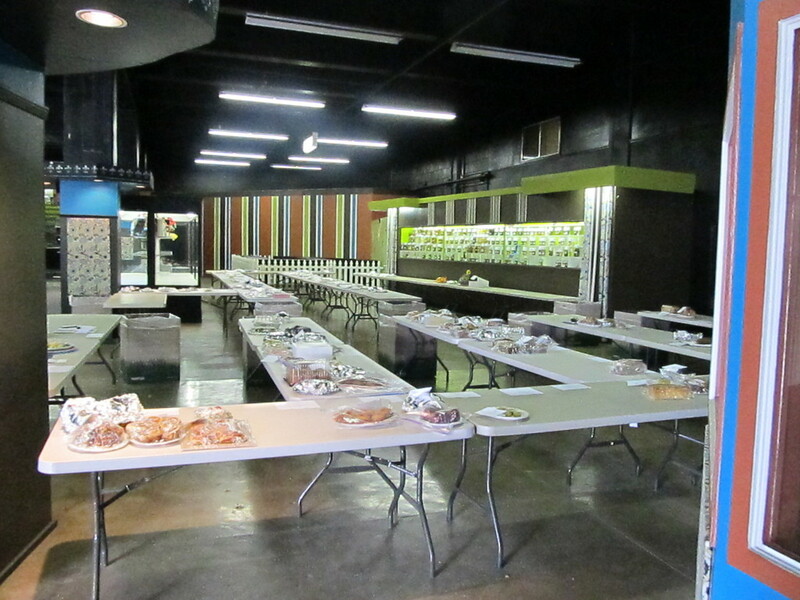 The fair is open from 3 to 7 for everyone to bring in their baked things for judging. I got there about 5, and you can see from the picture that the big tables they have set up are nowhere near full yet. But I know that they will be by the end. Los Angeles County is big, and there are a lot of entries in the fair. I put my cookies in, got my receipt, and headed home. They told me that the judging is done first thing the next day. So it’s a good thing I paid so much attention to making sure my cookies were still good more than 24 hours out of the oven. So that’s this year’s baking contest story.